Director Alfonso Cuarón just recently took home an Oscar for Best Director, and his film Gravity cleaned up in other areas as well, winning seven Academy Awards, including Best Cinematography, Best Film Editing, and Best Visual Effects. Needless to say, it’s a good time to be Alfonso Cuarón. Tonight Believe, a show co-created by Cuarón, premieres on NBC, and there’s one big question in the air: can Cuarón’s winning streak translate to the small screen? Believe is playing around with a time-honored science fiction trope: an innocent female possessed of amazing powers, and those trying to protect her from the forces that would exploit them. We’ve seen it with River Tam in Firefly, and with Leeloo in The Fifth Element, just to name a couple This time around the innocent in question is Bo (Johnny Sequoyah), whose mental powers are only increasing as she ages. Filling out the other half of the equation is Tate (Jake McLaughlin), a wrongly convicted death row inmate who is broken out of prison and tasked by a mysterious group to protect Bo as if his life depended on it. 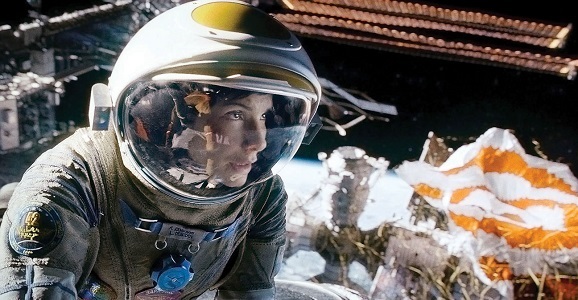 With the Academy Awards ceremony on March 2, things still look good for Alfonso Cuarón and his space epic Gravity. The film has already won the Golden Globe Award for Best Director, as well as the Producers Guild of America Award for Best Theatrical Motion Picture (tied with Steve McQueen’s 12 Years a Slave). It’s going to be an interesting race at the Oscars, with Gravity having won six BAFTA Awards (British Academy of Film and Television Arts) at last night’s ceremony in London, England. Gravity was nominated for 11 BAFTA Awards, and the film took home the trophies for Best Original Music for Steven Price, Best Sound, and Best Special Visual Effects. It’s no surprise that Gravity won the awards in all of the technical achievement categories, but the film also scored nominations for Best Original Screenplay, Best Production Design, Best Editing, and Best Actress in a Leading Role for Sandra Bullock. Gravity won the Outstanding British Film award, and while it was also nominated for Best Film, it lost out to 12 Years a Slave. Emmanuel Lubezki won the Best Cinematography award and Alfonso Cuarón managed to win the Best Director award too. 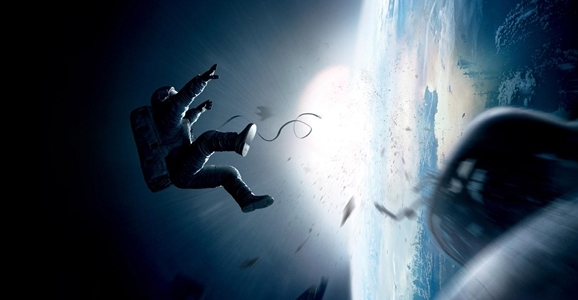 When Gravity hit theaters last October, the space adventure was a big commercial hit and was almost universally praised by critics. Even though the film won tons of acclaim, many pundits didn’t give it much of a chance come awards season, given the number of strong contenders in 2013. Well, it hasn’t gone down like that at all. So far Gravity has walked away with seven Critic’s Choice Awards, a Golden Globe for best director for Alfonso Cuarón, and an even ten Academy Award nominations in most of the major categories. Last night, Cuaron, and Gravity walked way with another nice piece of hardware, taking the top honor at the Directors Guild of America which were held in Los Angeles. Winning this award is no small feat in an average year, but it’s extra impressive when you consider the competition Cuarón faced. The field also included names like Martin Scorsese, Paul Greengrass, Steve McQueen, and David O. Russell. Not a bad group to be included in, all things considered. You can’t say that it’s not well deserved, as good, even great as most of these movies are, watching Gravity, especially if you got to see it in IMAX and 3D, is a one of most impressive, visceral experiences you’re likely to see for years. I don’t know if you guys have heard about this movie called Gravity or not, but it seems like it’s trying to set a record for the largest variety of film trailers for a movie that isn’t being released with summer superhero movies. Warner Bros. U.K. just released a featurette focusing on the IMAX release, though not as one might think. For a movie like The Dark Knight Rises, we got to see a director using an IMAX camera to film a scene while talking about the scope of what’s being seen. Here, there’s some talk of scope, but since we’re in outer space, everyone already knows that this is the biggest stage a story can take place on. But here, director Alfonso Cuaron talks about how one of the biggest visual references in the film was the magnificent presentation IMAX Hubble 3D. NASA astronaut Dr. Mike Massimino, who was involved with Hubble 3D, said a few words about how good and accurate the film looks, and admits with a smile that he and his crew had an easier day when filming their movie. “I’m a geek! I just don’t collect dolls.” Alfonso Cuarón’s Gravity opens in theaters in less than a week and a half. While the film is getting almost universal critical acclaim and early Academy Award buzz, the 51-year-old director could care less if the film wins any awards; he just wants people to watch the space epic in theaters. The above video is an in-depth, 33-minute video interview between Cuarón and film journalist David Poland. While 33 minutes seems like a lifetime on the Internet, the interview gives some great insights into Gravity and Cuarón’s impressive career. As we wait for Alfonso Cuarón’s Gravity to open in theaters nationwide in a few weeks, Warner Bros. has released a pair of new promotional videos to help hype the 3D space epic. The first is a 30-second TV spot that combine’s Steven Price’s touching score and Cuarón’s dazzling imagery, while the other is an extended look at the 3D technology of the film itself. The three-minute extended featurette highlights the technology behind the film. It took Alfonso Cuarón seven years to make his vision of Gravity a reality because he was waiting for film-making technology to catch up with what he had planned in his head. Cuarón wanted to create a certain level of realism and weightlessness, not just with how the actors move on the screen, but also how the camera moves while capturing the action.